The Fenrir TTC-NK85TZ is the first CPU Cooler bit-tech has looked at from Titan. 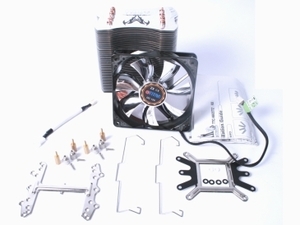 However our sister magazine Custom PC was more than impressed with an exotic air-cooled TEC CPU cooler from the company which it reviewed way back in Issue 44. 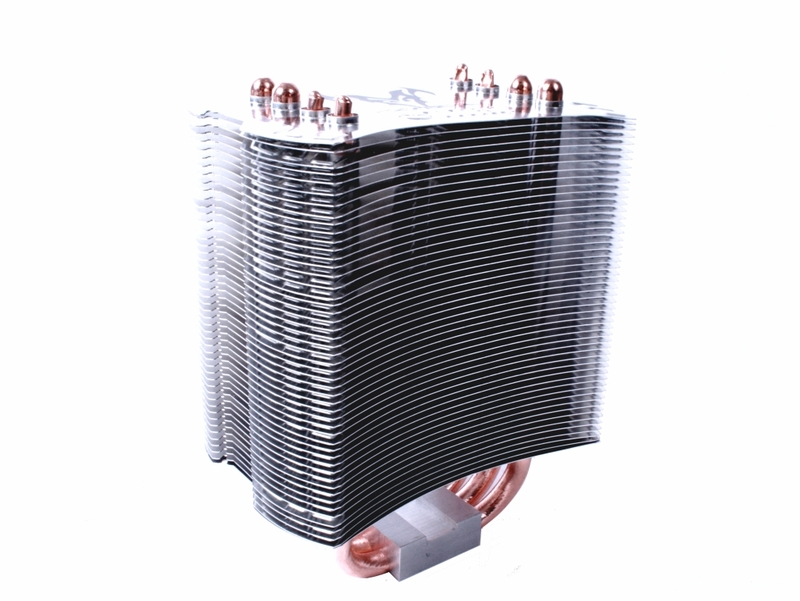 However, without more exotic cooling in the mix, your average CPU cooler is living in a very crowded market place indeed. 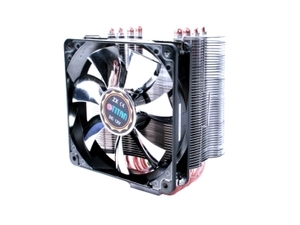 Looks, noise, cost and more importantly cooling, are all factors consumers and reviewers alike are looking for. Thankfully, many companies have taken it upon themselves to get stuck in to some serious R&D in the field of heatsink design and, apart from the odd shout of FAIL and finger pointing, cooling has generally improved year on year since heatsinks were first used. There are some pretty weird and wonderful designs around though and some work better than others - quite a bit better in some cases. As well as differing heatsink designs there are also plenty of different methods for securing the heatsinks to your motherboard with a good, firm, square mount being the main objective (although some manufacturers seem to think otherwise). 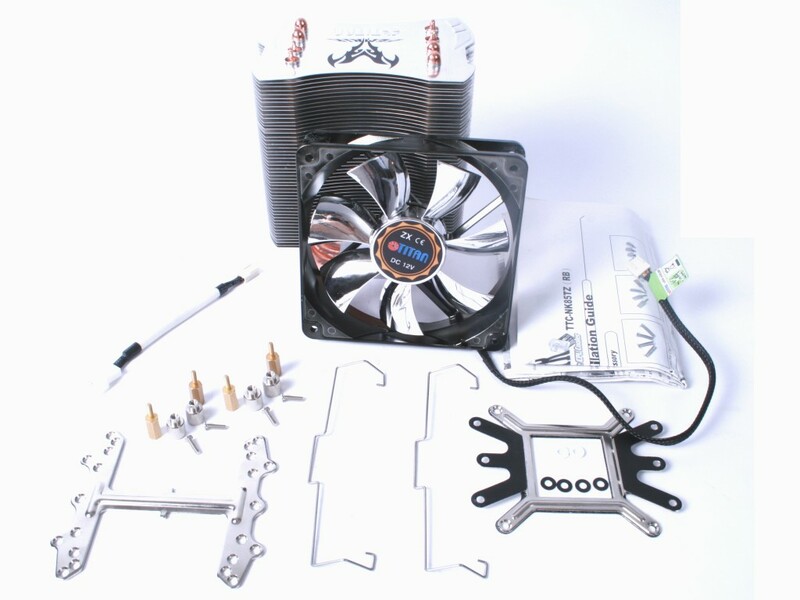 Mounting mechanisms can often be so fiddly and complicated that you wish you'd never bothered and we've been left with many a sore finger after battling with some pretty dire coolers, some of which jeopardise your motherboard due to the force required to mount them. As we can see above, the Fenrir comes with a slightly worrying array of fittings, however the four point, plate assisted screw down method is usually a fairly easy one, if a little time consuming. It's also popular on high-end water-blocks where a firm, flat mount is essential if you're not to end up with worse temperatures than poor air cooling with your £200 water-cooling kit. Read on to see how we got on with it. 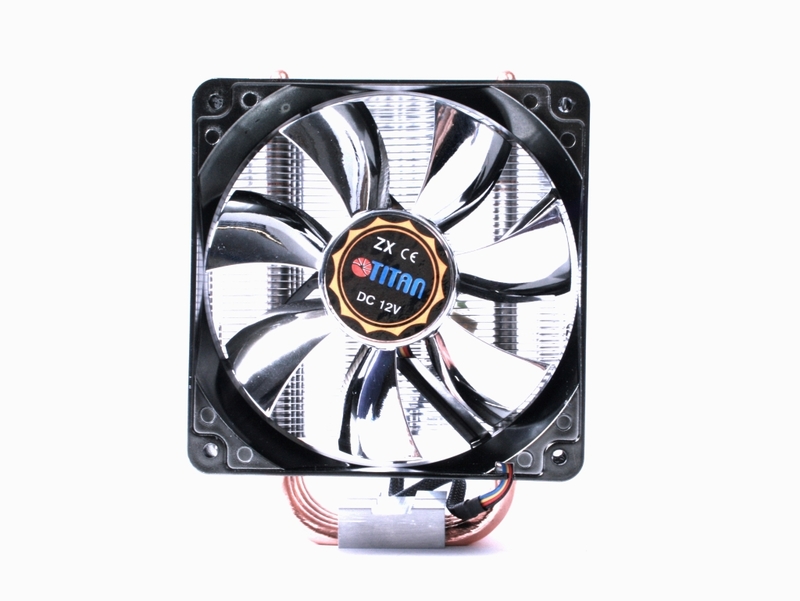 Titan's latest cooler is a huge, with a split heatsink design to cool your CPU and motherboard.